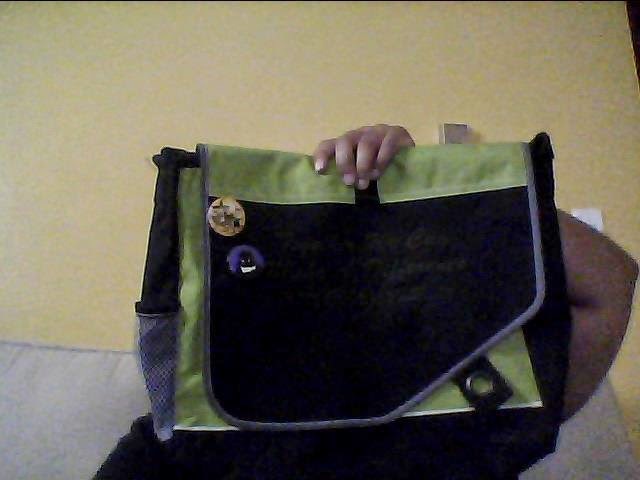 A few months ago, my mother brought home 2 messenger bags that she got from work for free. She kept one for herself and gave me the other one. Around the middle of last month, I finally decided to add my own personal touches to the bag. I started with scraping off the words that were already on it and adding a couple of buttons. The bag is still a work in progress. Some of the words are still visible. But they'll fade out over time. I'll probably add some more buttons and see about having some patches sewn onto it.